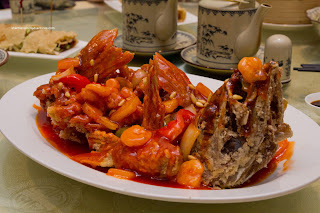 Ever since we started this bi-weekly ChineseBites dinners (highlighting the very best dishes at local Chinese Restaurants), there has been a constant theme - Cantonese food. Okay, I'm not complaining... Alright, yes I am... And yes it definitely qualifies as #firstworldproblems or #foodblogger- problems. But the repetition of eating the same stuff over and over again, despite the joy of it all, gets a little boring. Therefore, Raymond decided to change things up a little for this meal as we headed to Shanghai Elan for a change of pace. 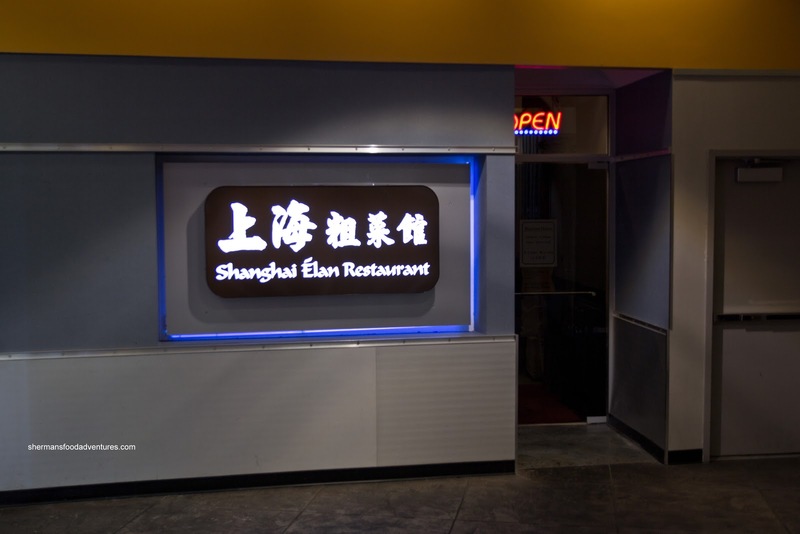 Located in the former location of Pittsburg Restaurant (ew...), Shanghai Elan intends to offer up a cuisine that has very little in the way of competition out in Burnaby. Of course I was overjoyed with the change in cuisine, but not-so-much about my arch nemesis - the Crystal Mall parking lot (cue the Psycho shower scene music here). Since it was a Monday night, it was almost bearable to park there. Finally. A good experience. Was it an omen of things to come??? Joining myself and of course Raymond, the usual crew of Rick, Janice, Alvin, Queenie, Kevin, Grace, Diana, Sean and Amy helped devour 14 courses of food... We were able to order whatever we wanted, which was a brave thing for the restaurant to do. We started with the Spicy Chicken which was somewhat spicy where the chicken was firm, yet cooked nicely. The flesh was tender while the skin was gelatinous. Next up was the Jellied Pork which was nicely arranged on a long plate. I found the meat to be firm as well, but still moist. It was flavourful with a meaty taste while the gelatin on top was soft and jiggly. Coming fast and furious (these are not hidden messages I swear! 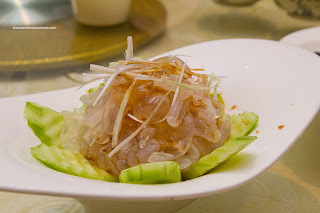 ), we had the Jellyfish which was served with sliced cucumber and vinegar dressing. I found the jellyfish to be crunchy and firm which was much like the cucumber. The dressing was a bit understated though. 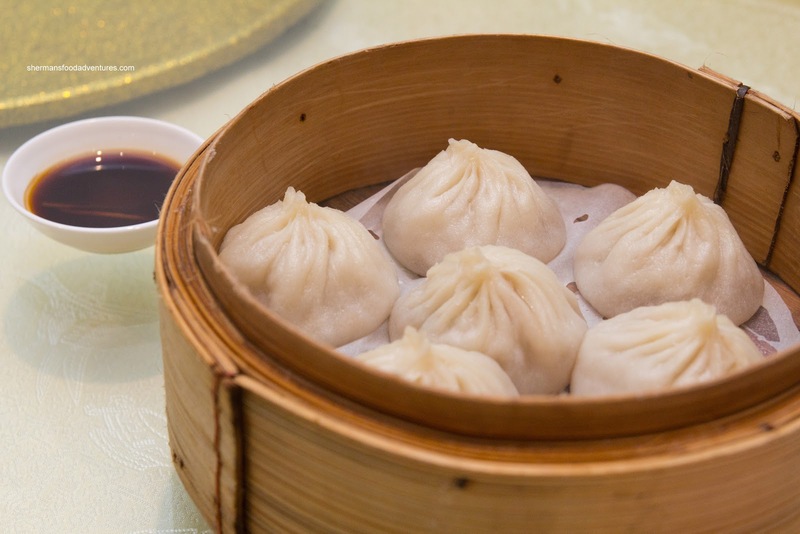 What is a visit to a Shanghainese restaurant without Xiao Long Bao? It would be like going to the washroom and not witnessing the aftermath of poor aim. Wait.. Bad analogy... Well, we got 2 steamers worth and they were decent. The dumpling skin was relatively thin except for the twist at the top (which is quite normal). The amount of soup was alright, but it could've stood for more. It was flavourful though, yet on the sweet side in need of more ginger. The meat was slightly gritty while still moist and tender. I'm sure everyone has ordered a dish before because they saw a picture of it in the menu or at another table. Well, the award for the "it looked better in the picture than it tasted" award went to the Wild Greens with Bean Curd and Pine Nuts. It wasn't like the dish was terrible, it was just underwhelming. The predominant flavour was of sesame oil with a touch of saltiness. 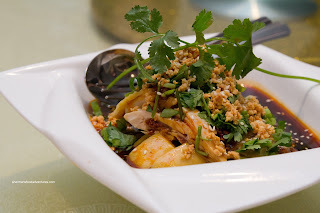 The texture was slightly crunchy along with the softness of the crumbled bean curd. 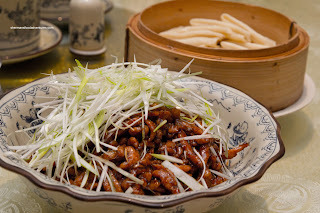 A dish that I love to eat, but rarely see anymore is the Moo Shoo Pork. This dish usually consists of julienned pork wok-fried with hoisin and bean paste, then wrapped in steamed flour crepes. Although they were heavy on the hoisin, hence rendering the dish sweet, the pork was flavourful enough to stand on its own within the crepe. The pork itself was super moist and had a nice bounce texture. The crepes were a little thick, but were far from chewy. They worked nicely with the pork filling and didn't fall apart or dry out. Seeing how we only had one veggie dish so far (and it was a small one), we decided to try the Stir-Fried Potato and Eggplant. 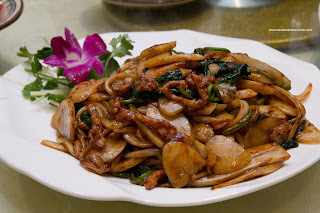 It exhibited good wok heat visually and tastewise. None of the veggies were overcooked where the peppers had a snap while the eggplant retained its shape. I guess the oil-blanching helped in that regard. The potato was obviously fried too, but that helped it from becoming mush while being soft on the inside. The flavours were mild and didn't overwhelm the ingredients. 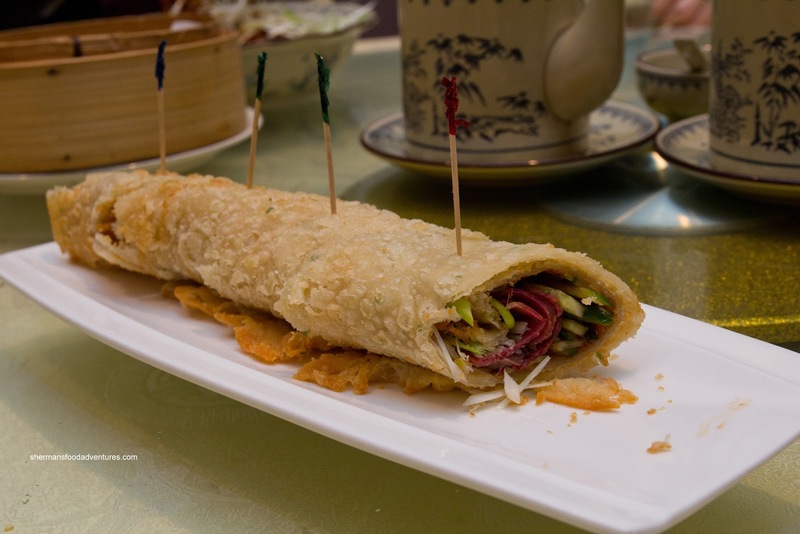 A Shanghainese Dim Sum classic is the Beef Pancake Roll and we certainly couldn't go without it. For me, I endear myself to the panfried version, so when it came out deep fried, I was a little dismayed. You see, when it is deep fried, the pancake gets quite greasy albeit being really crispy. With that being said, the filling was really good. 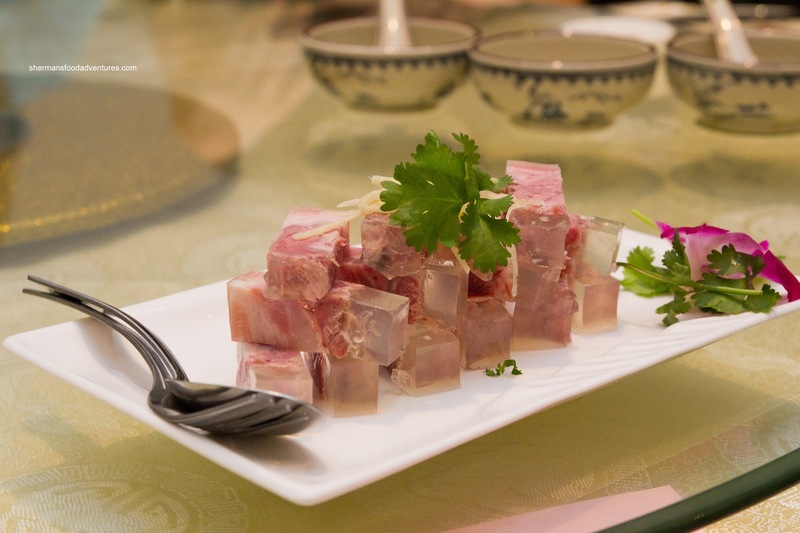 The slices of beef shank were plentiful and moist with just enough hoisin and crunchy cucumber. I could've done without the large amount of scallions, but it was easily removed. Normally, I would avoid Sweet & Sour Fish as much as a lineup at the checkout at T&T, but something was different about this one... Yes, it was good. No joke. I normally hate this dish, but they did something right. The fish was fried really crispy but the flesh was still fish-like and relatively moist. Furthermore the sweet & sour sauce was balanced and impactful with a nice consistency. And I was not the only one to go for seconds either. 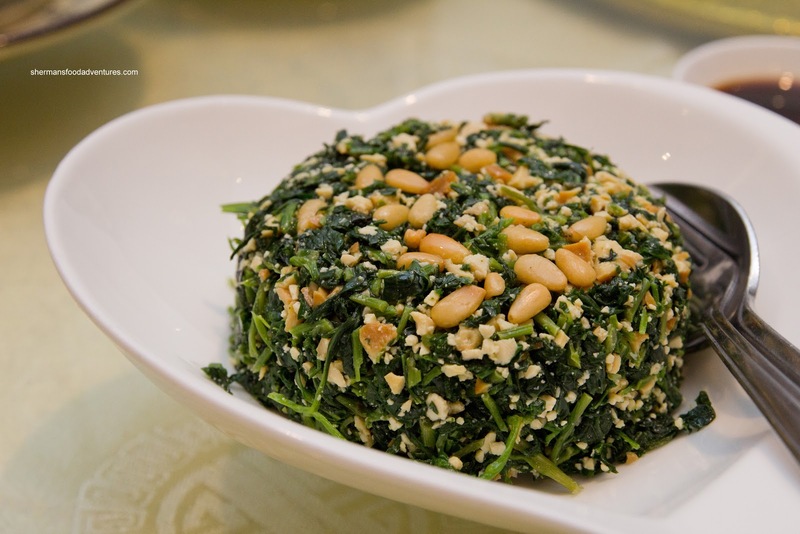 With any Shanghainese meal, carbs are a must, so we had the Stir-Fried Rice Cake with spinach and julliened pork. 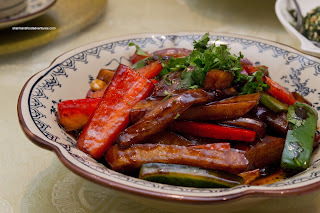 Much like the other stir-fried dishes, there was good caramelization and wok heat. Pleasing in appearance and taste, the sliced rice cake was moist yet still slightly chewy. The spinach was still vibrant while the pork was tender. 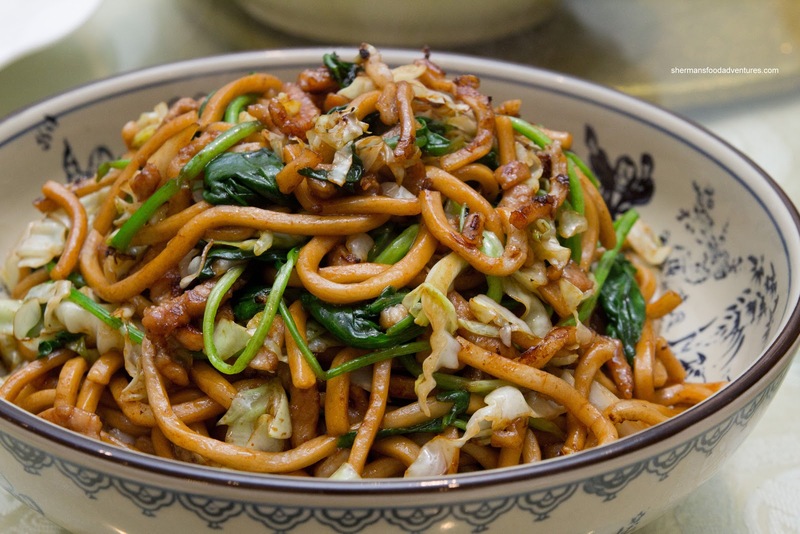 This was followed by more carbs prepared in a similar manner being the Shanghai Fried Noodles also with spinach and jullienned pork (and some cabbage). 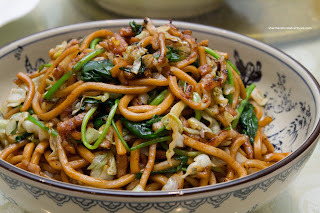 As usual, the dish was greasy (so the noodles don't stick to the wok) with good wok heat and caramelized flavours. The noodles were al dente while the other ingredients were on point. Lastly, we were served the Duck and Taro Soup with fried wontons. 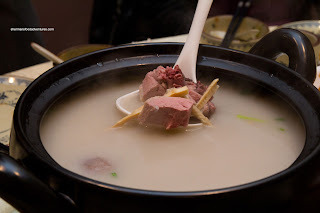 Although a bit salty from the duck, the soup was full of flavour and had a certain smoothness from the soft taro (with edamame and chinese herbs). The duck itself was really moist and flavourful (from the salt marinade). To counteract the saltiness, our dessert was pretty sweet being the Glutinous Rice Balls filled with black sesame in a sweetened soup (with added mochi). 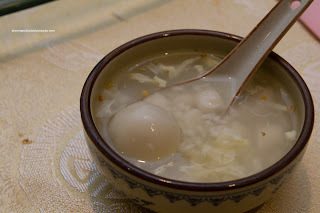 I didn't really eat the soup as it was stingingly sweet but I loved the small morsels of soft mochi. The rice balls were also soft and filled with aromatic black sesame. Okay, I realize this was another hosted dinner by ChineseBites, but we were allowed to order whatever we wanted on a busy night. Hence, this was a pretty good indication of what they are capable of. On average, the food was pretty decent with very few slip-ups. 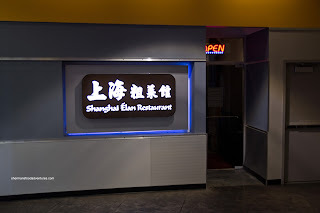 Sure, the big boys in Richmond have a word to say too, but if we look at Burnaby only, there is no competition for Shanghai Elan.